Vitezslav Pesta moves all-in from the button, and Jack Duong calls immediately from the big blind. It’s an absolute cooler situation when the cards goes open. The flop makes Duong a set and it’s all done after the turn. The river is unimportant. 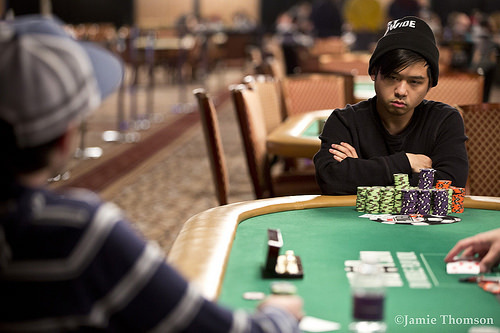 Jack Duong wins his first WSOP gold bracelet going with the $333,351 first prize. Czech Vitezslav Pesta gets $206,734 for his second place. Jack Duong opens to 260,000, and Vitezslav Pesta folds the big blind. Vitezslav Pesta calls from the big blind and Jack Duong checks. Duong checks on the flop, Pesta bets 125,000 and Duong calls. Both players check the turn and river. Duong shows and wins the hand. Jack Duong limps the button and Vitezslav Pesta shoves all in and Duong folds. Vitezslav Pesta folds and Jack Duong gets a walk. Jack Duong raises to 860,000 and Vitezslav Pesta folds. Vitezslav Pesta raises all in and Jack Duong folds. Jack Duong opens to 260,000 and that gives him the big blind and antes. Jack Duong gets a walk in the big blind. Jack Duong opens to 260,000 on the button. 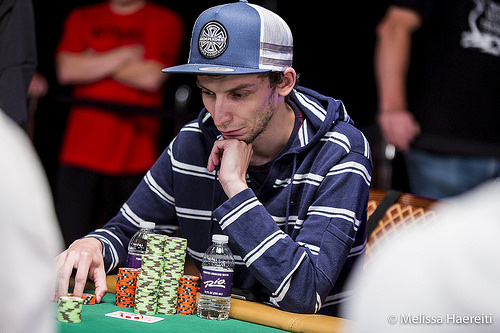 Vitezsla Pesta moves all-in from the big blind for 1,365,000 and Doung calls. The players split after the five community cards. Vitezslav Pesta gives Jack Duong a walk in the big blind. 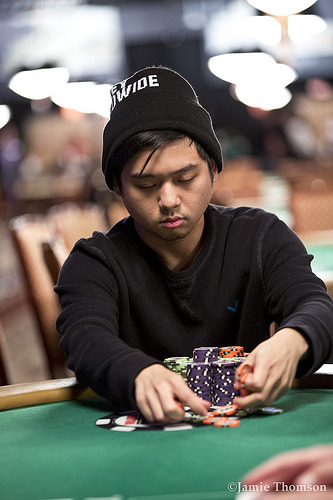 Jack Duong raises to 200,000 and Vitezslav Pesta folds. Jack Duong calls from the button and Vitezslav Pesta checks his option. The flop is and Duong bets 120,000. Pesta calls. Both players check the turn and the river . Pesta shows for a pair of kings and wins the pot. Viteslav Pesta moves all-in from the button and Jack Duong calls in the big blind. They go to the showdown. Vitezslav Pesta hits top pair on the flop but there are still a lot of changes for Duong. Pesta’s hand helds up after turn and river. Viteslav Pesta folds on the button. Jack Duong wins the blinds and antes. Three days weren't enough in Event 62, a $1,500 Bounty No-Limit Hold'em Tournament, as the heads-up participants return to crown a champion today at 2 p.m. PT. After a grueling 12-hour day, only American Jack Duong (above) and Czech Vitezslav Pesta (below) remain in their quest for World Series of Poker Gold. Duong will return today with a 15:1 chip lead over his opponent after coming narrowly close to eliminating his opponent in several different hands yesterday. The final table spanned out over a total of 227 hands, with 51 of those played out during heads-up play already. Duong had his chance twice to knock out Pesta. The first time, Duong called with king-nine and was up against Pesta's ace-three. An ace would flop and Pesta would double. The second time it was Pesta's superior kicker on the river that would see him survive once again. The chips counts for today are Duong (15,380,000) to Pesta (965,000). Be sure to stay tuned at WSOP.com for the final stages of Event #62 $1,500 Bounty No-Limit Hold'em.